The Opel Calibra, also known as the Vauxhall Calibra in the United Kingdom, the Chevrolet Calibra in South America, and the Holden Calibra in Australia and New Zealand is a sports car engineered and produced by German automaker Opel between 1989 and 1997. The Calibra was introduced to counter the Japanese sports coupes of the late-1980s and early-1990s, and is based around the running gear of the first-generation Opel Vectra, which had been launched in 1988. 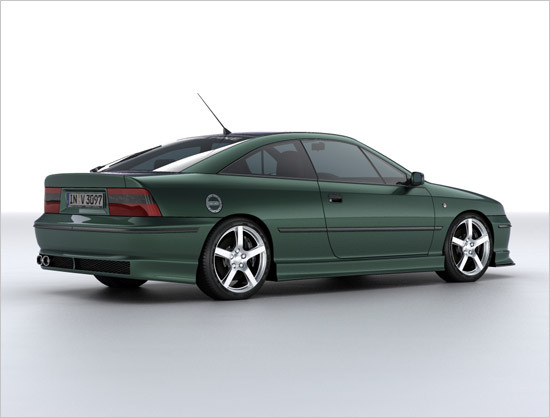 Calibra production was based in the Opel factory in Ruesselsheim, Germany and the Valmet Automotive factory in Uusikaupunki, Finland, where production was consolidated in November 1995.